Nedra wants nothing more than to become a medical alchemist (think magical doctor). When the opportunity arises for her to spend one year at the best alchemical school in the country, she jumps at it, even though she knows it means leaving her twin sister and her parents – perhaps forever. Nedra quickly jumps to the top of her class, but when a plague breaks out and starts killing commoners, Nedra finds herself out of the classroom and into the hospital. As she studies the plague, she realizes that it might not be entirely natural. Anyone around her could be responsible for its rise, even those that she trusts the most and she turns to a forbidden form of alchemy, necromancy, to try to find the answers. 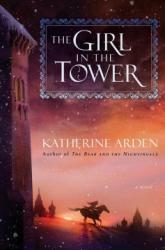 The book is narrated by two characters, Grey and Nedra. Nedra was an enthralling character. The book follows her as circumstances get progressively more dire and she does what she has to do to survive and keep her twin sister alive. Her inevitable descent into darkness felt earned and real. Grey is Nedra’s classmate and love interest, and I didn’t mention him in the synopsis because he was entirely unnecessary to the book. I think he just served to give an outsider’s perspective on Nedra, but his chapters read as wholly superfluous to me. Perhaps he’ll have more of a role in the sequel? The alchemy and necromancy themselves were quite cool, aside from the cruelty to rats. The cruelty is addressed and makes sense (one could argue that we use lab mice in a similar fashion), but might be upsetting to animal lovers. The first part of the book, while not fast paced, was still fun to read as we got to hang out with Nedra quite a bit in the hospital and learn about her craft and motivations. As she experiments more with necromancy, the book gets twisty and dark, and I really enjoyed the ending. There are also some fun political machinations and a revolution brewing in the background, all of which add to the immediacy of later plot points. If you enjoyed a good villain origin story, such as Marie Lu’s The Young Elites, Tamora Pierce’s Tempests and Slaughter or the TV show Breaking Bad, you should give this book a read. 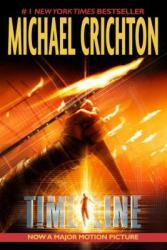 I enjoyed it, and I think I’ll like the sequel even more when it comes out in a year or so. 3 stars. Thanks to Razorbill and Netgalley for the eARC, which I received in exchange for an unbiased review. 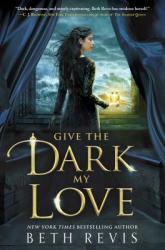 Give the Dark My Love will be available for purchase on 25 September, but you can put your copy on hold today! It is a truth universally acknowledged (at least by my friends) that a person such as myself, in possession of historical studies, must be in want of a good medieval mystery. 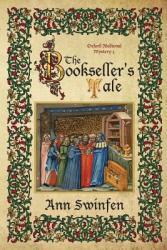 Sadly, I found Ann Swinfen's first book in her Oxford Mystery Series to be only so-so, not even qualifying as good. I admit, too, that I am rather spoiled by having read many of Ellis Peters' Brother Cadfael Mysteries and all of Mel Starr's Chronicles of Hugh de Singleton. Perhaps if I had not done so I would like this series better, but I cannot assess it any other way than having encountered medieval mystery before. The Bookseller's Tale opens with bookseller Nicholas Elyot of Oxford living a quiet yet sad life, his wife taken by the Plague, his widowed sister living with him (for the same reason, the Plague took her family) to care for not only him but his surviving children. All is going along fairly well until a young student who frequents is found murdered by Master Elyot, dumped unceremoniously in the river Cherwell. What ensues is a long trail of details to catch his killer by himself and the murdered student's academic teacher (why not the local Sheriff or Bailiff, I'll never know). 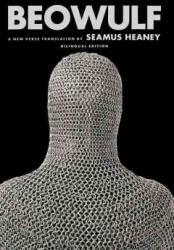 The book is excellent at descriptions of how a bookseller's life in the mid-1300s would look. Who they might employ, who would be their friends (academics, it seems), and the layout of hearth and home and Oxford. In truth, it was more like The Time-Traveler's Guide to Navigating the Streets of 1350 Oxford than a mystery at times, Ms. Swinfen takes you on a twisty-turny journey through streets that I assume are mostly non-existent today. I would have preferred less detail of streets and business and more interesting plot, I found myself missing the intrigue of Ellis Peters and the straightforward style of Mel Starr. Not even illuminated books and stolen property were enough to spice it up, as I found myself plodding along on rabbit trails with Master Elyot. As a result I was rather bored about 2/3 through and didn't particularly care why the young man was murdered, though I did finish the book and went "Oh." at the end. But again, this could be just me. Maybe to others it will be exciting and the perfect accompaniment to a rainy afternoon and cuppa by the hearth.